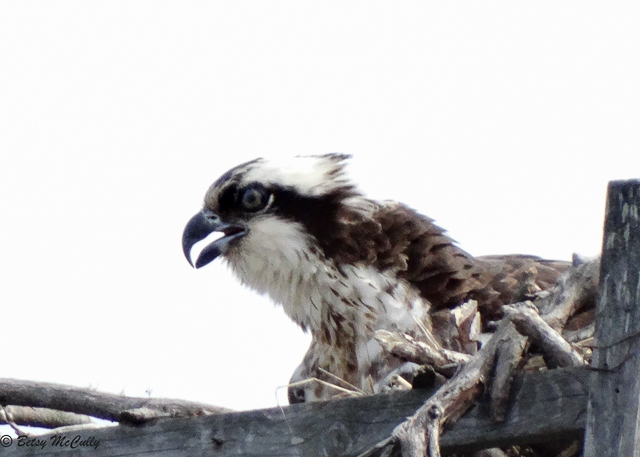 Osprey (Pandion heliaetus) on nest, Oceanside, Long Island. Lakes and ponds. Breeder.